Why should travel to Phu Quoc? Phu Quoc is the largest island in Vietnam located in the Gulf of Thailand under the administration of Kien Giang province. The island is famous for tourists because of its blue sea, tropical rainforest, and delicious seafood. 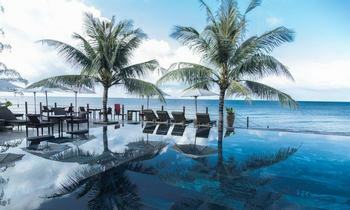 If you are traveling in the south of Vietnam and don’t have an idea to go apart from Ho Chi Minh City, Phu Quoc is worth to be your ideal destination. And here are the reasons why you should travel to Phu Quoc, let’s check it out! Phu Quoc is one among twelve island districts and is the largest island district in Vietnam with a total area of 574 square kilometers. 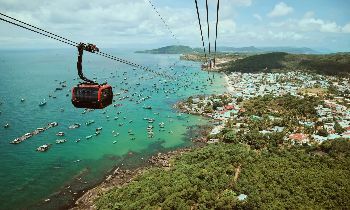 Besides the charming nature with the beautiful sandy beaches, endless blue sea, and vast green forest, Phu Quoc is also famous for being “a hell on earth” where Vietnamese soldiers were caged during Vietnam War. 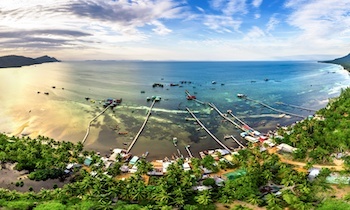 Nowadays, Phu Quoc is a reputed tourist center that tourists come here to escape the busy life and get closer to mother nature. Phu Quoc is a tropical island with a warm climate all year round, it is possible for tourists to get to Phu Quoc any time of the year. 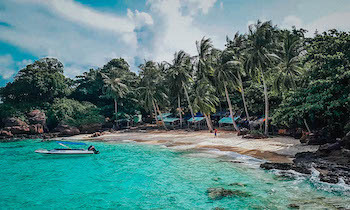 Phu Quoc island district is a combination of the main island of Phu Quoc and 22 other smaller islets, so it is a perfect choice for those who want to keep away from the hustle and bustle life of the cities, and want to have a quiet place to rest and relax. 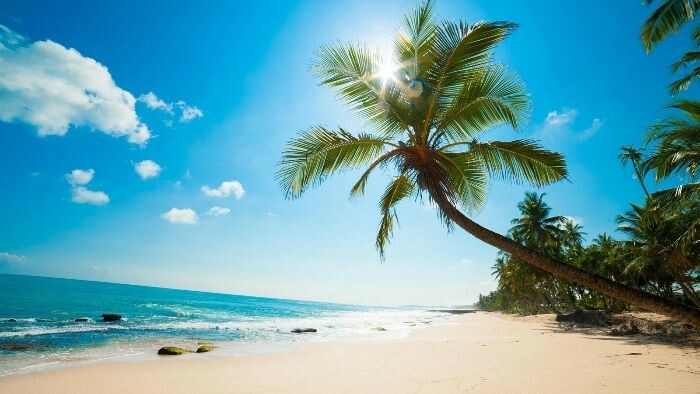 How great it is when you lie on a couch on the beach, sip a fresh coconut juice, catch the cool sea breeze and listen to the sound of sea waves. There will no longer be any stress lingering in your mind. Swimming in the cool blue sea and doing the interesting water sports are also the things you must do. 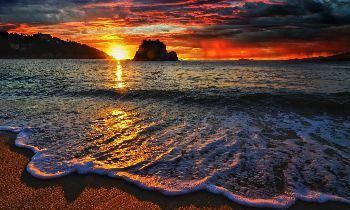 Moreover, don’t miss the sparkling moments at the sunrise. 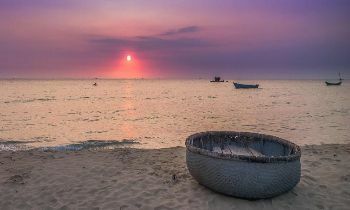 Phu Quoc is covered by the sea, there are over 10 beautiful beaches such as Sao beach, Long Beach, Dinh Cau beach, etc. 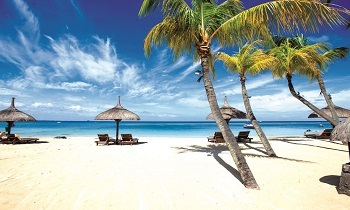 These beaches are very popular and attract a lot of tourists in the afternoon. Speaking of the sea paradise, it is an omission that we can’t talk about water sports. Besides swimming, there are plenty of interesting activities you can take part in such as kayaking, kitesurfing, jet skiing, scuba diving or snorkeling. 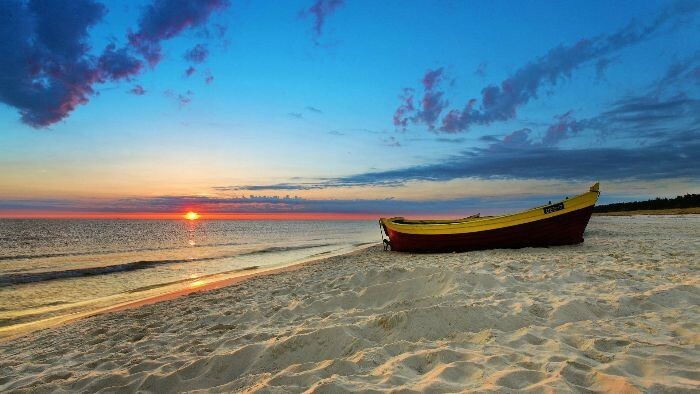 The ideal beaches for you to do these activities are Sao beach, Long Beach, etc. Phu Quoc not only has beaches but also owns a lot of other natural sites such as forests, mountains, lakes, streams, and waterfalls. Considered the vascular of forests, the streams, and waterfalls such as Da Ngon stream, Da Ban stream, Tranh stream are the favorite choices of tourists to enjoy the cool fresh water and the romantic landscapes surrounded. You can swim in these waterfalls and let your soul mingle in the sound of running water, leaves rustling in the wind and birds singing. Looking at the map of Phu Quoc island, you will see a large green area in the north, it is where Phu Quoc national park located. 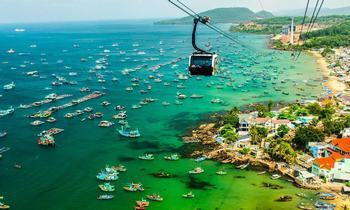 This is considered the green lung of Phu Quoc island. Far away from the busy tourist town of Duong Dong, coming to Phu Quoc national park, you will have a chance to free your mind and breath the fresh air in the peaceful place. If you do yoga or meditation, let’s find a large stone near the stream to practice, it is really where you can concentrate. Phu Quoc national park is an interesting hiking spot that a lot of tourists do when coming to Phu Quoc. Phu Quoc prison or Cay Dua prison was built by French in 1950 to keep political criminals. In 1955, the president of Vietnam Republic- Ngo Dinh Diem extended this prison and turned it into a “hell on earth”. Nowadays, it has become a museum where visitors can gaze at the artifacts and images depicting the terrible punishments and life of ex-criminals. It will be a sobering experience. 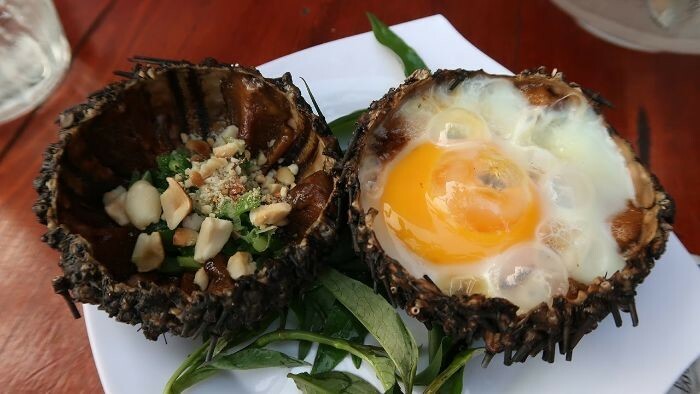 There is a treasure in the heart of Phu Quoc sea, it is an infinite resource of seafood with full of species. Seafood in Phu Quoc is very diverse and cheap. There you can easily find a restaurant near the beach and order seafood dishes such as echinus, king crab, herring salad, abalone, squids, shrimps, etc. Feast like a king while drinking Sim wine which is a Phu Quoc specialty. There are a lot of seafood market in Phu Quoc, especially if you can wake up early, you can go to the beach to buy the fresh seafood from the fishing boats where fishermen bring the fish from the boat to trade after coming back from the sea. 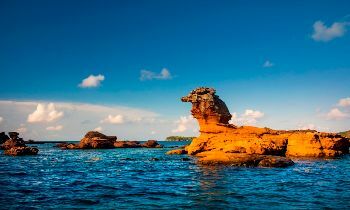 If you enjoy reading this article and need further information about Phu Quoc, let’s contact us to get more detail. We are happy to share tips and facts about Phu Quoc tourism for you. Thank you and have a nice trip! NAVIGATE Why should travel to Phu Quoc?